Sonia has been a partner at Taggart and Taggart since 2007. Previously, she was a Senior Deputy Attorney General for the State of Nevada, an associate with real estate and business transactional law firms, and a Judicial Law Clerk for the Ninth Judicial District Court. Prior to practicing in Nevada, she worked for a civil litigation firm in San Diego, California. Sonia is licensed to practice law in Nevada and California. She received her law degree from the University of the Pacific McGeorge School of Law and her undergraduate degree in Business Economics from the University of California, Santa Barbara. She practices law in the areas of business, redevelopment, real property, and water. She handles business and real estate transactions, administrative proceedings, and general civil litigation. Through a combination of effective advocacy and negotiation, Sonia helps clients with administrative and regulatory matters before state agencies. She is a skilled litigator who understands the interplay between state agencies, the roles of various officials, and how to forge relationships and achieve results within these complex environments. She has litigated a variety of civil matters and is particularly skilled in procedural issues. Sonia’s extensive experience has aided her in resolving her clients’ cases without incurring the expense of trial. 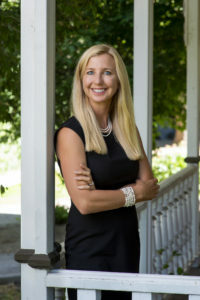 Sonia has handled a number of major real estate projects in Nevada in connection with acquisitions, securitization, financing and purchases of real property. She represented the Nevada Public Works Department and the State Treasurer’s Office in the acquisition, construction and financing of major public works projects. Sonia has volunteered as the former treasurer and officer of Carson Futbol Club, manager of Carson Futbol Boys Elite soccer team, and a former officer of the Carson City Library Foundation. Her interests include outdoor activities—especially running, cycling, and skiing.